Win a mediterranean cruise holiday hosted by Jon Bon Jovi! 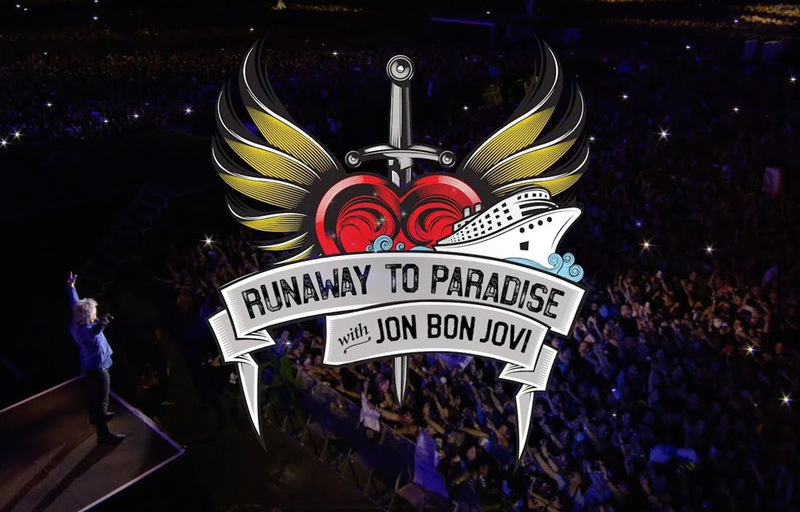 Runaway to Paradise with Jon Bon Jovi is a Mediterranean Cruise sailing from Barcelona to Palma, Majorca in August, and we could be sending you on it! Jon Bon Jovi will join guests on board the Norwegian Pearl Cruise Liner and will perform a full show on the pool deck. There will also be a Q&A, a meal at The JBJ Soul Kitchen and much more! The prize includes a balcony cabin for 2 people plus flights. For your chance to win, enter our competition below! Please note this prize is non-transferable, and winners must be 21 years of age or older. One balcony cabin for two on the Runaway to Paradise sailing August 26 - 30, 2019, flight reimbursement up to $500 per person, admission to all onboard concerts (all shows are general admission/non-ticketed), all onboard meals at open seating dining areas, entrance to the ship hot spots like the casino and disco, use of ship pools and waterslides, use of ship health and fitness center, children's facilities (excluding babysitting), prepaid port taxes and ticketing fees. Hotel accommodations, travel insurance, any tax payments based on prize value, ground transportation, any expenses incurred while in port, any meet and greets with artists or other VIP events onboard (unless open to the public), VIP seating or check in, backstage or all access passes, gratuities ($14.50 per person, per day will be added to all guests onboard spending accounts without exception). The following costs on board will also not be covered, (but the included OBC can be used towards): gambling, spa and beauty services, the purchase of alcoholic or carbonated (soda) beverages, the purchase of upgraded paid dining options, shore excursions and babysitting services.